The winner of the Canadian Smart Cities Challenge will likely be the city that best aligns technology, efficiency, equity, and inclusion while not losing sight of residents. The long-awaited Canadian Smart Cities Challenge is in full swing. Infrastructure Canada has made millions of dollars available to cities that create the best pitch to improve the lives of their residents through innovation, data and connected technology. One city will win the top prize of $50 million and with it the prestige of being named Canada’s “smartest.” Two prizes of up to $10 million are open to communities with populations under 500,000, and one prize of up to $5 million is available to communities under 30,0000 people. What, exactly, is a smart city? This is a more difficult question than it ought to be, mainly because of the range of visions and definitions advanced by politicians, academics and the private sector. In fact, more than 30 terms are used in scholarly and technical literature to characterize future urban environments. But the perspective of residents informs none of them. 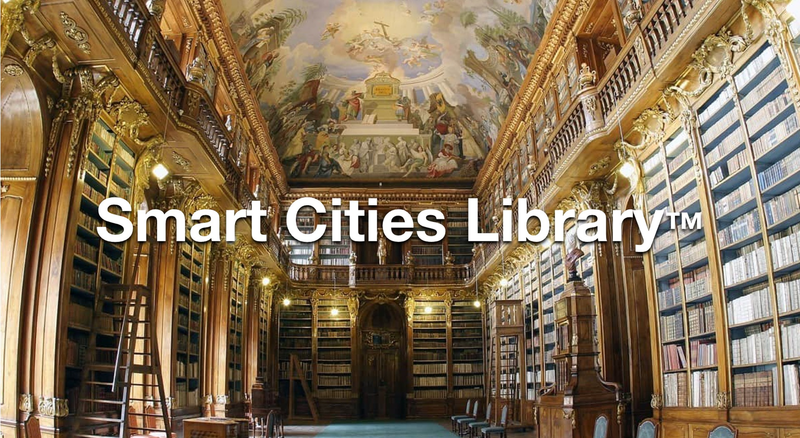 The term “smart city” was coined by the tech giant IBM in the early 2000s with the goal of better tapping into the municipal consulting marketplace. IBM established an initiative named the Smarter Cities Challenge, which was essentially pro bono consulting focused on developing business for the company. With its origins in this initiative, the narrative of smart city development is often grounded in technology and framed by the private sector. Today, “smart cities” are generally understood to be municipalities that harness technology to improve service production or delivery, enhance local economies and provide residents improved access to city governance, resulting in a better quality of life. The development of smart cities is big business, with global expenditures on smart city technology expected to reach $41 trillion in the next 20 years. Canadian municipalities have wasted no time jumping into the smart city technology market. For instance, Montreal has a comprehensive plan to pursue “smartness,” investing in innovative technologies like mobile payment systems for city-owned parking lots as well as traffic mapping and dynamic signage to reduce congestion. Toronto has invested in waste-tracking apps for residents and unmanned aerial vehicles for watershed observation and maintenance. There is no shortage of enthusiasm for smart city technology among Canada’s municipal decision-makers. The Smart Cities Challenge just sweetens the pot for Canadian municipalities, adding the potential to win not only funding to purchase new technology but also recognition as being among Canada’s most innovative communities. The Canadian Smart Cities Challenge is modelled on the American Smart City Challenge, which Columbus, Ohio, won last year. Columbus beat six other finalists: San Francisco, Austin, Pittsburgh, Kansas City, Denver and Portland. Of this group, Columbus is certainly not the largest nor is it perceived as the most tech savvy or innovative, but it won on the strength of its plan to create an electric and autonomous transit system, focusing its vision on increasing access to jobs and opportunity in the downtown core for residents in lower-income neighbourhoods. Smart city development can lead to sterile urban design, increased social exclusion and rampant waste if resources are not directed appropriately. Amid all this enthusiasm, there is a need for caution. Smart city development can lead to sterile urban design, increased social exclusion and rampant waste if resources are not directed appropriately. Because of the influence of large technology vendors and management consulting firms, technology is being offered as a solution to nearly every local problem conceivable, furthering an urban technology “arms race” where cities ratchet up technology use without a clear vision of its purpose or consequences. A beauty contest mentality ensues, where the technology itself is touted as the goal rather than as a tool to achieve a variety of more important ends, such as equity and efficiency. Smart city technology is not a panacea for urban problems such as population growth or environmental degradation, although often these are the impetus for its implementation. At the end of the day, people — the administrators and elected officials who design and approve the policy changes, and the residents who live in and make up the community — are a crucially important component to ensure that municipalities have the resilience to overcome such challenges. Indeed, they are the very reasons why smart city technology is adopted, and their visions and hopes should be reflected in these proposals. In addition, policies for smart city development should be as inclusive as possible, with the goal of overcoming barriers presented by disparities in income, education, access to technology and digital literacy. After all, the capacity of a community and the strength of its people will determine its success. Smart city building is still city building. This means the same rules apply and the goal should be the same. The winner of the Smart Cities Challenge will likely be the city that best aligns technology, efficiency and equity, while not losing sight of the end-users: residents. The winner will be a city that thinks like Columbus and focuses on harnessing new technology to bridge divides in the city and foster inclusivity — or, at least, it should be. Technology is a means to an end, rather than an end in itself. Sometimes this is forgotten amid the glitz and glam of new technologies. Smart city technologies present an opportunity to reconceptualize and enhance our cities and the Smart Cities Challenge can help facilitate this process, but cities need to remember that the smartest cities are those that match technology with need and leverage the power of the community. To Canada’s municipal leaders: take Minister Sohi’s advice and be bold. Go ahead and build smart cities, but make sure that the vision and hopes of residents are embedded in your plan, Montand leave no one behind.